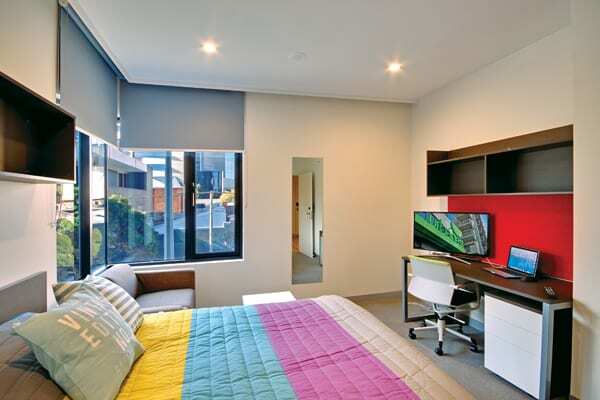 A wheelchair accessible ensuite room in a 2 person apartment. Each room is single occupancy with a shared bathroom, unlimited wireless internet, air conditioning and is fully furnished. 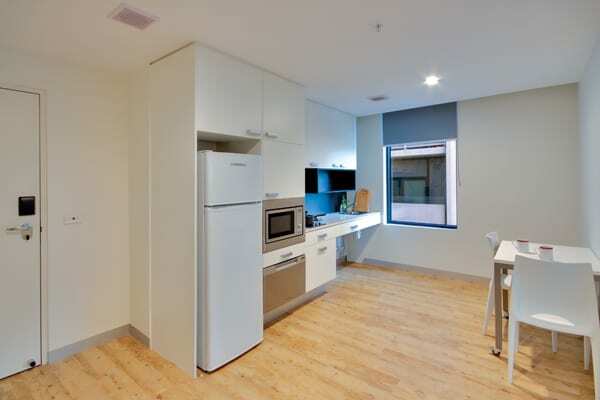 Apartment features a shared kitchen/lounge room.